I’m writing this post excitedly on Monday the 5th of January. I am beyond overjoyed. 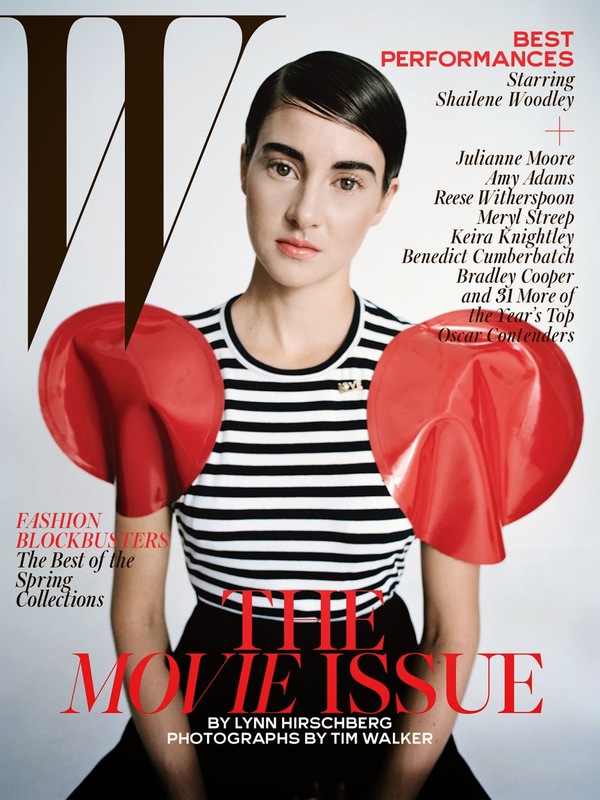 W Magazine, every year, release their February issue dedicated to the best performers of the year in acting. I love this issue as it combines two of my favourite things, film and fashion. 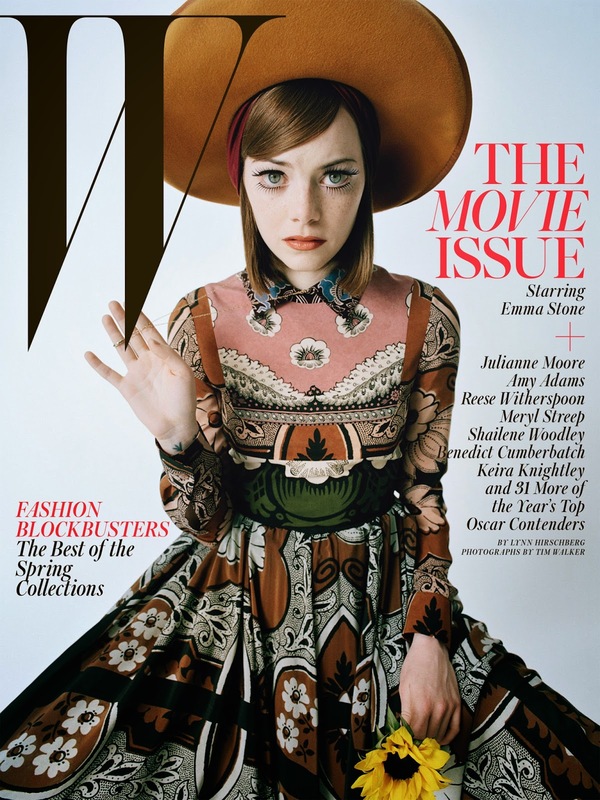 The cover shoot this year was done by Tim Walker. I am in awe with how amazing these covers are. 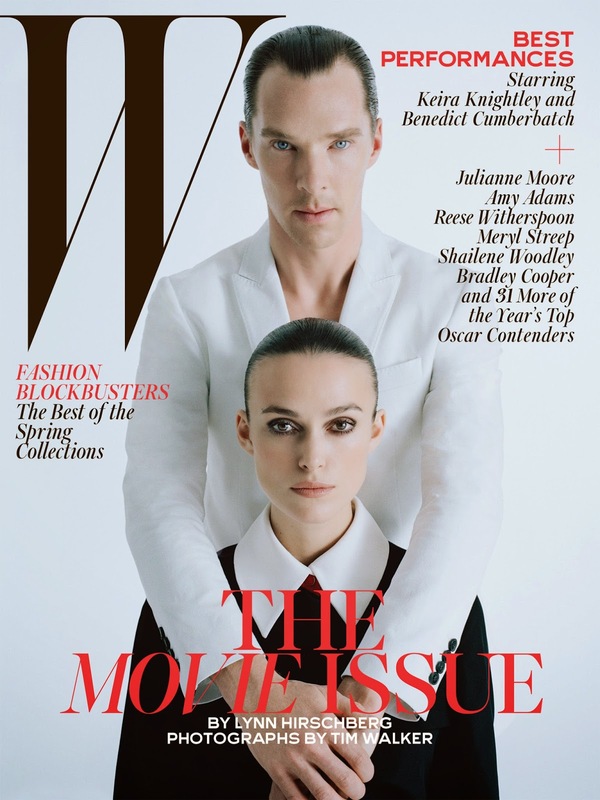 Benedict Cumberbatch & Keira Knightley, Reese Witherspoon, Amy Adams, Julianne Moore, Bradley Cooper, Shailene Woodley, and Emma Stone all have separate covers in the issue. Emma’s is my personal favourite, followed by Benedict and Keira’s. Tim Walker is a fantastic photographer. I have championed him for years and am fascinated by his peculiar style. These set of portraits of Hollywood’s finest thespians is no different. The full editorial features a countless amount of other actors who have done exceedingly well in their field this year. After a quick scan I saw David Oyelowo (Selma), Jessica Chastain (A Most Violent Year), Scarlett Johansson (Under the Skin) and Ethan Hawke (Boyhood), among many more. Below is the bite-sized interviews with each actor/actress talking about his/her respective film.